The customer contacted us in the fall of 2018. This growing, NE Ohio home builder was experiencing fast growth and projecting that their sales would require additional staff and space. A new building with lots of open space was acquired in Cleveland. The architect envisioned an open floor plan but also knew that the designers would need privacy to work. 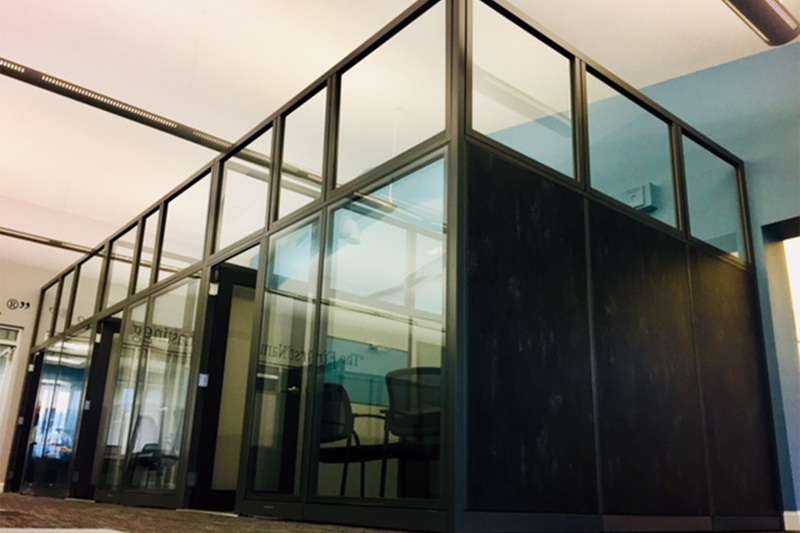 They needed individual space without visual and acoustic distractions. He also envisioned a space that told the story of the company. When Lisa Musarra met with the architect, a floor plan and workstation design were created with large individual spaces, deep worksurfaces and plenty of storage. 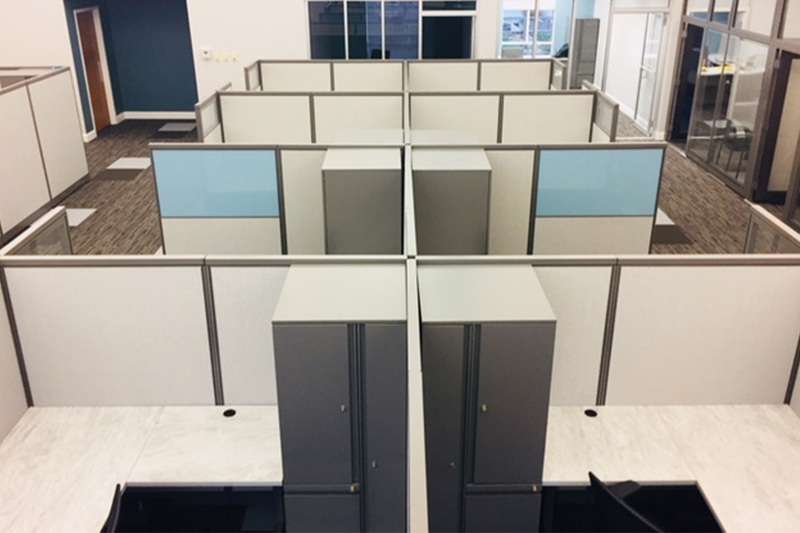 Because of gen2’s custom capabilities, the customer was able to construct workspace that worked perfectly for them and integrate their corporate color in their furniture throughout the space. 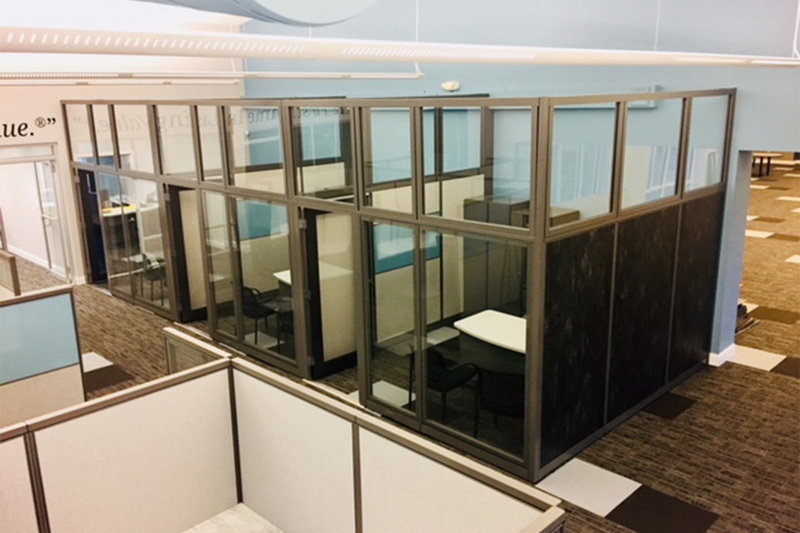 Custom designed collaboration spaces, writable surfaces, and touchdown spaces were just what the customer needed for their custom-designed workspace! 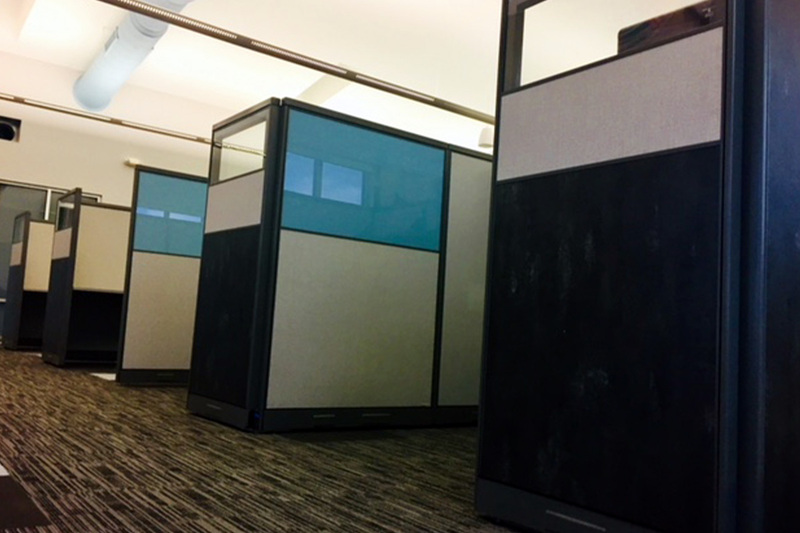 gen2 office furniture can be customized with any paint color. Choose a Pantone, Sherwin Williams, gen2 or any other major furniture manufacturer color. gen2s capabilities allow for far more flexibility than other major manufacturers. Not only can you pick from the largest paint selection, but customers can also specify custom worksurface designs. Pick your style, pick your size, pick your paint color with gen2!